Twenty-First Century Fox reported a jump in profits in the past quarter as the conglomerate controlled by Rupert Murdoch said it was on track to complete a key asset sale and launch a slimmed-down media group. The New York-based media-entertainment company said its profit in the period rose 54% from a year ago to $1.29 billion. Profits were lifted by a $220m gain from the sale of its stake in UK-based broadcaster Sky. Revenues rose 2% from a year ago to $7.2 billion in the quarter ending September 30, the first fiscal quarter for the group. The boost in profits come with Fox on track to complete the sale of key film and television assets, including its big Hollywood studio, to Walt Disney in a $71 billion blockbuster deal. 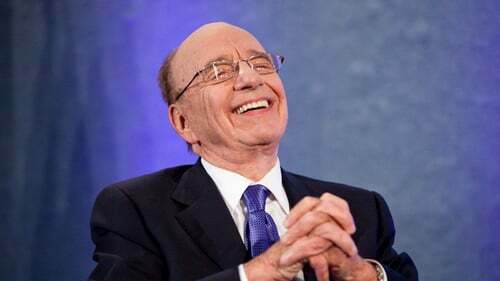 The deal will allow Murdoch, 87, who has been gradually turning over control of his media empire to his two sons, to slim down his holdings to focus on a "new Fox" to include the US-based broadcast network and Fox News Channel. "We continue to deliver against our growth plan even as we make important strides toward completing our Disney transaction and launching (the new) Fox in the first half of 2019," a statement from Rupert and Lachlan Murdoch, who share the title of executive chairman, said. "We have assembled a stellar leadership team for Fox, giving us further confidence in the new company's ability to capture opportunities in live programming while delivering long-term value for shareholders," the statement added. In September, Fox agreed to sell its 39% stake in Sky to Comcast, giving the US cable and media giant full control of the British television giant. That agreement ends a long-running battle for control of Sky by Murdoch in the face of resistance by UK regulators and firms up the new landscape in the sector with Comcast in control of Sky and Disney set to expand its footprint with television and film assets from Fox. In the quarterly results, Fox said its cable network programming operations delivered operating earnings of $1.54 billion, a 2% increase, amid higher affiliate and advertising revenues. Its television unit saw a 38% jump in operating profit to $168m, helped by its results from the World Cup broadcasts. The filmed entertainment unit lifted operating earnings by 8% to $277m on improvement in TV studio operations and licensing fees, although box office revenues decreased.